The WSM06020Y-70 is suitable for particularly low flow rates. Its design is especially for use as a pilot valve. When the solenoid coil has no more energy, the valve is open in both directions. When the solenoid coil has energy, it closes the valve from port 2 to port 1. In the reverse direction the, valve will allow flow when the hydraulic force exceeds the solenoid force (from approx. 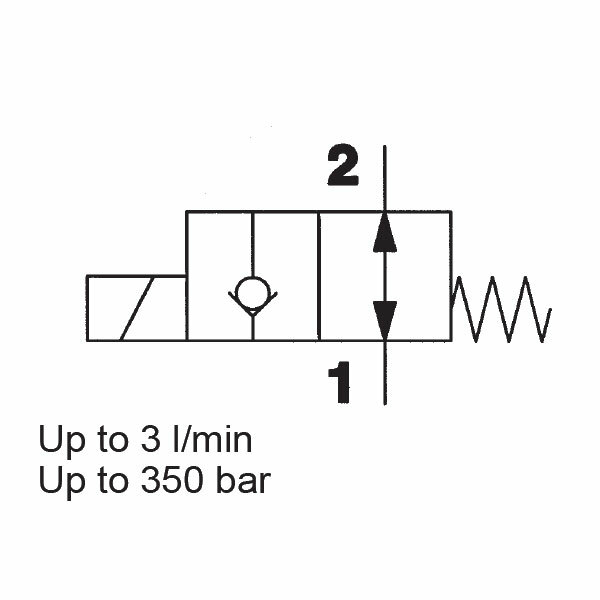 300 bar depending on operating voltage and coil temperature).